Create your own selection of two delicious sauces/dressings/marinades and one Chutney from our extensive range to create a superbly original and different present. 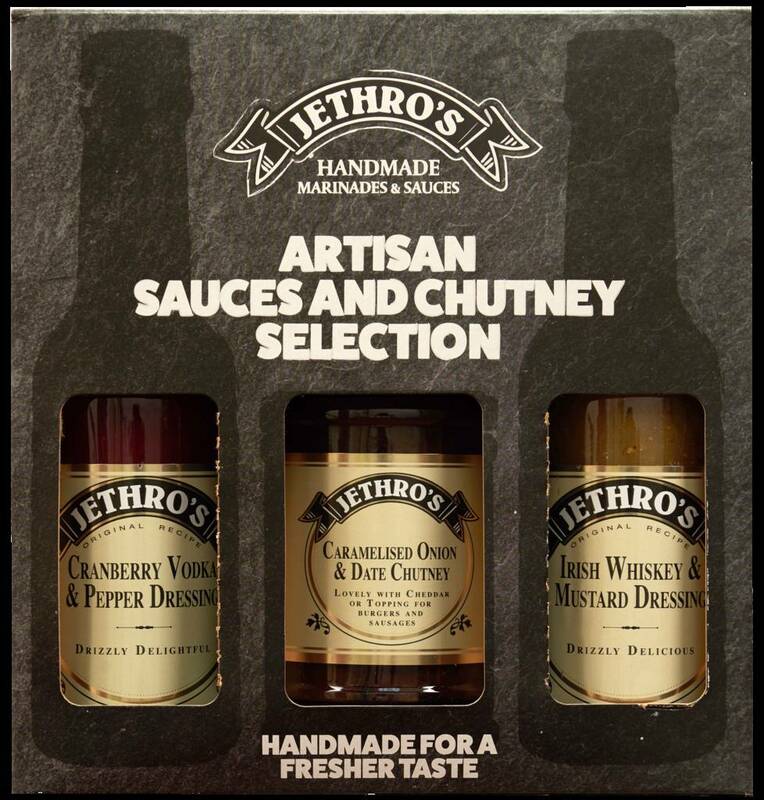 All Jethro's sauces and marinades are delicious orginal recipes made with the finest ingredients, with the emphasis on taste. 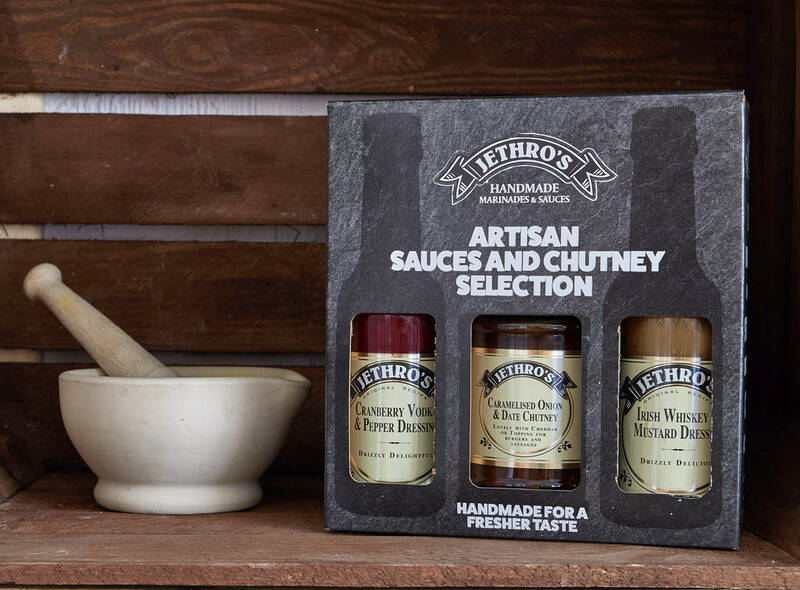 You can select chilli or ginger sauces, or why not try one of our dressings like Irish Whisky or Cranberry Vodka for a truly original gift. 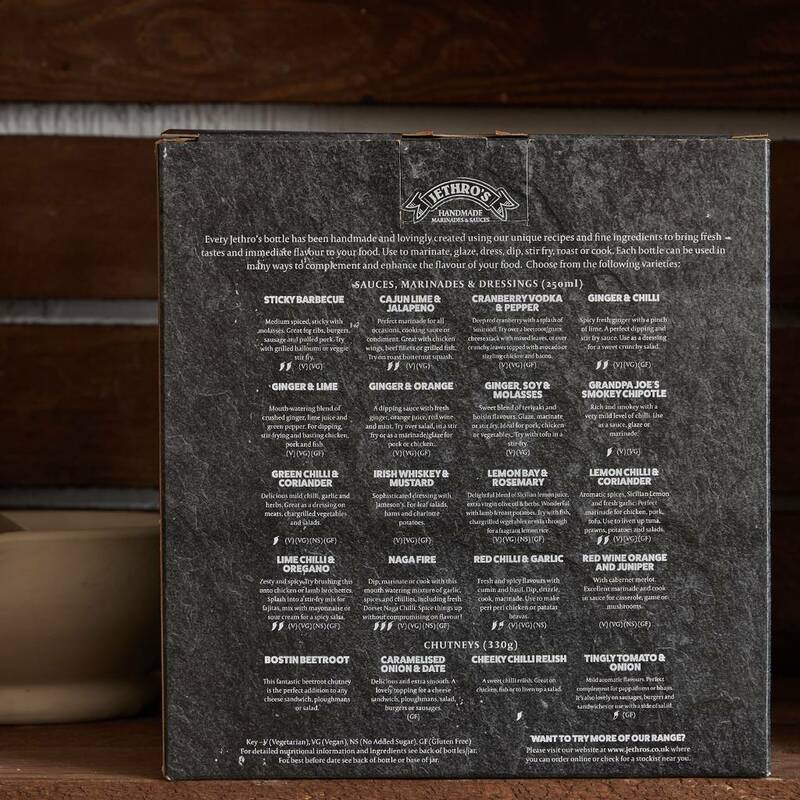 Select any three products from the drop down menu on the right and design the perfect gift for any food lover.